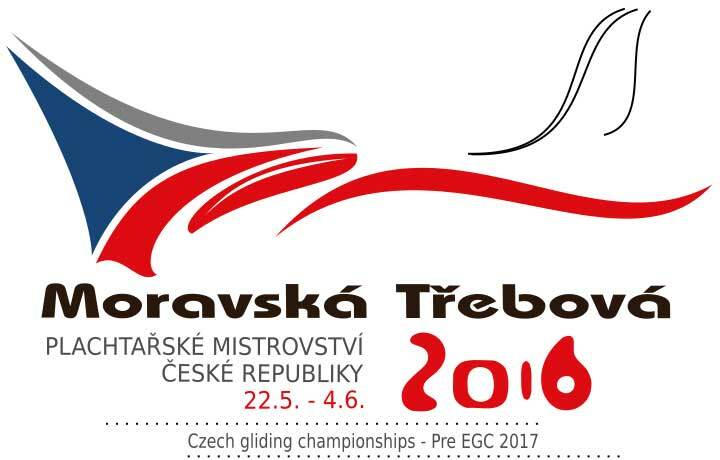 In May 22 till June 4, 2016 the public domestic airport Moravská Třebová (ICAO code: LKMK) in the city of Staré Město hosted this major sporting event with international participation – Gliding Championships of the Czech Republic – PMČR 2016. 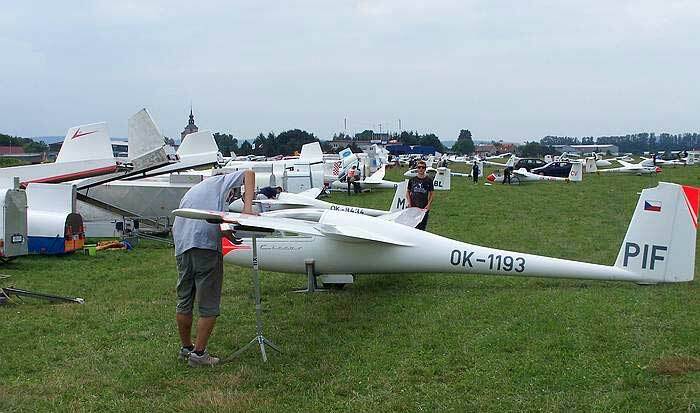 It is actually preceding to the 19th FAI European Gliding Championships 2017 – European Championships 2017 in non-flaps classes: Club, Standard and 20M. The EGC 2017 event will be organized July 23 – August 5, 2017 under the organizer’s contract with the FAI IGC. 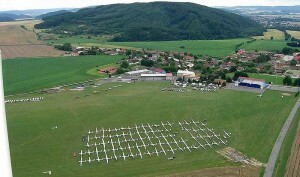 Both competitions are organized by Aeroklub Moravská Třebová, who is also the owner and operator of the local airport. PMČR is top gliding competition whose main purpose is to compare the performance of the best pilots of the Czech Republic and establish a nominations to the national team. This year’s Championships is performed with three classes – Club, Combi 15 and Combi Open joining Combi Duo class. Individual classes are defined by design and performance of gliders, and are determined by the so-called Index sheet. Total number of PMČR 2016 participants is 88. They came from the Czech Republic and from abroad. For foreign participants it is a great chance to get acquainted with the specifics of the airport, local geography and meteorological conditions and with the distribution and usability of the airspace of the Czech Republic for soaring. The progress and results of each competition day you can watch on the competition website www.gliding.cz/souteze/2016/pmcr. 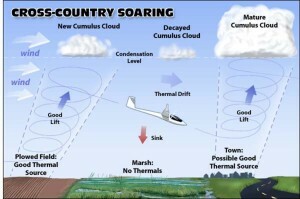 Pilots to their flying need suitable weather, especially thermals – thermal lifts. These are created as a result of heating the air mass on the surface by sunlight. Indications of existing thermals are the formations of clouds – cumulus (heated rising air contains moisture and is generally increasing height the temperature drops, to the rising air is sufficiently cooled, moisture condensation occurs, and thus results to formation of cloud – cumulus). Under such a cloud glider must fly in and circle in thermals gaining altitude for the next part of a track; ie. after ascending a height pilot converts it to the speed in sliding downward flight. With this thermal “engine” we can take a glider to a out-of-airport-zone flight, so called Cross-country flight. It is mostly closed track with a 1-4 pivot points. When appropriate meteorological conditions, according to the technical parameters of the glider pilot can fly a standard distance of 200-300 km. With powerful gliders pilots are flying cross-country flights with a length of 500 km or more. The best pilots in our geographical conditions fly distance of 1000 km. 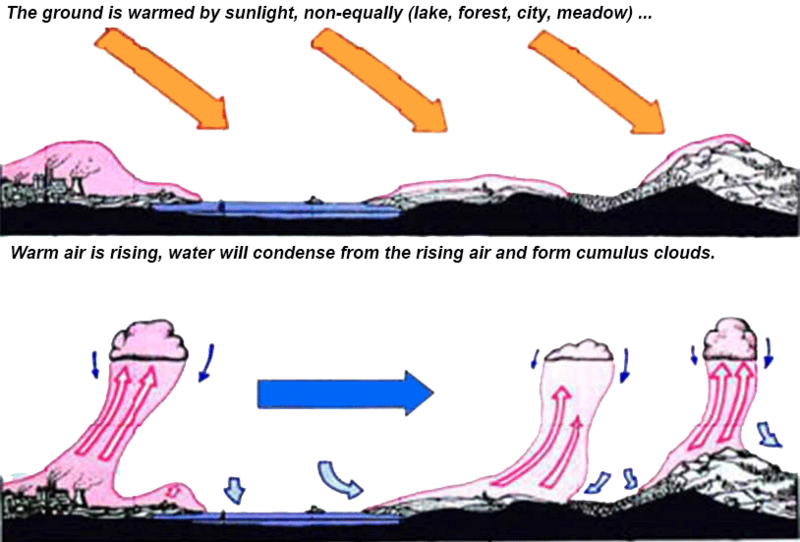 Thermal weather (April to September) starts around 10-12 hours morning and is usable depending on the length of the day, to about 5-7 hours in the afternoon. 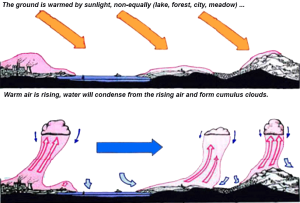 The strength of rising currents (climb rate) is usually around 2-4 m/s, sometimes you can find a climb of 5-6 m/s. Attainable height (height of the lower cloud base) is 1,200 to 1,800 meters above the ground, under perfect conditions can be achieved a height of around 3,000 meters above sea level (in terms of allocation of Czech airspace for a different type of operation, the glider can typically move up to flight level FL95, which equals 2,900 meters above sea level). Now how does it actually looks like – flying on PMČR Championships? The most important person of the crew – Meteorologist – every morning he prepares analysis and forecasts. 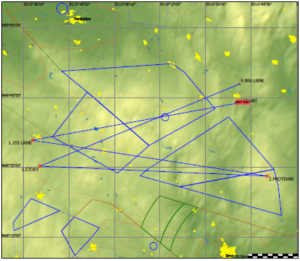 Based on these data and with regard to the activities of other airspace users (especially the Czech army) pilots start to plan the routes for each class. 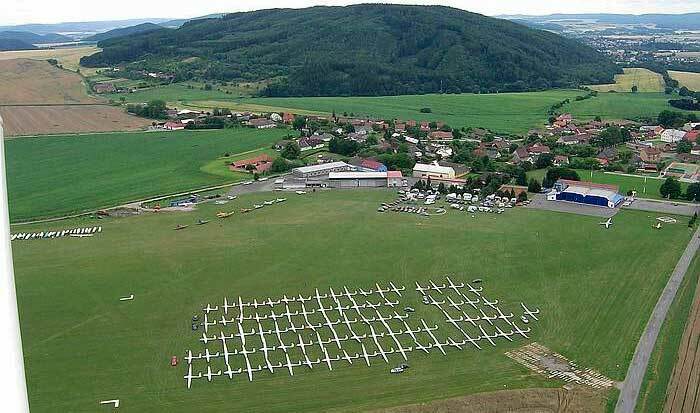 Meanwhile, gliders preparations are underway (assembly, filling ballast water, check weighing) and their transport to the grid – a mesh of all sailplanes on the airport grass. Usually at 10 am briefing takes place, where the competitors get familiar with the weather forecast, the division of airspace, and there are officially declared flight tasks. Followed by the transfer of all contestants on the grid and waiting for thermals. As soon as the weather permits, multiple takeoffs of each class are launched . 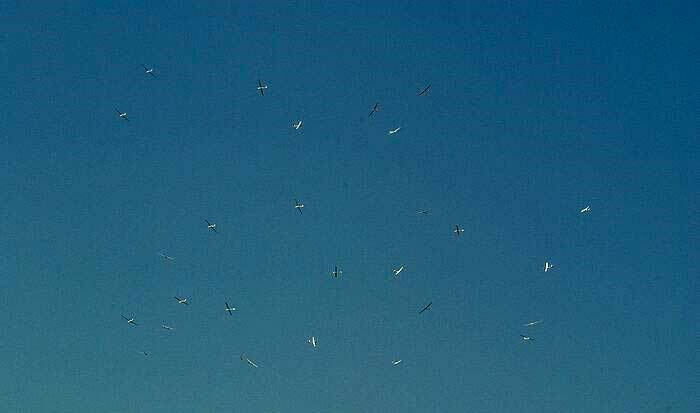 Gliders are towed by powered aircrafts within about an hour and towed to a height of 600 meters above the ground to designated areas, where they continue to lift by thermals and wait for the opening of the Start line (imaginary line with a length of 6 km). 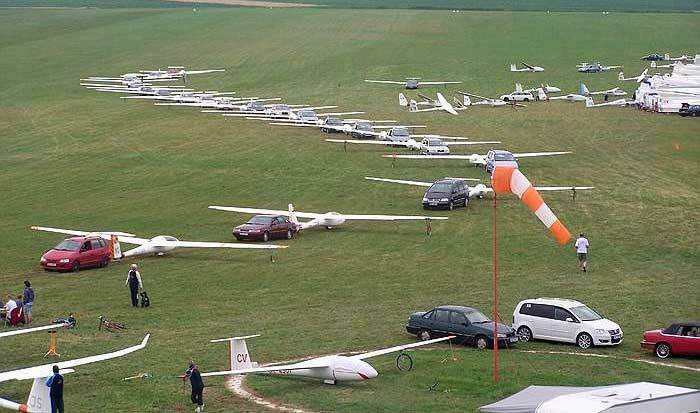 The Start line is open for 20 minutes after takeoff of the last glider of each class. From that moment on, competitors may accordingly at any time go to the track. 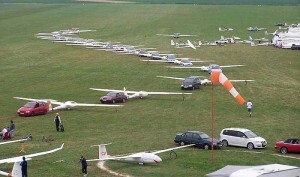 After reaching goals – making successful arrival (arrivals tend to be particularly interesting for spectators while arriving several gliders together), each contestant provides the referee a record of his flight to evaluate (the recording equipment is used – logger, a secured GPS navigation system with pressure sensor for altitude recording). 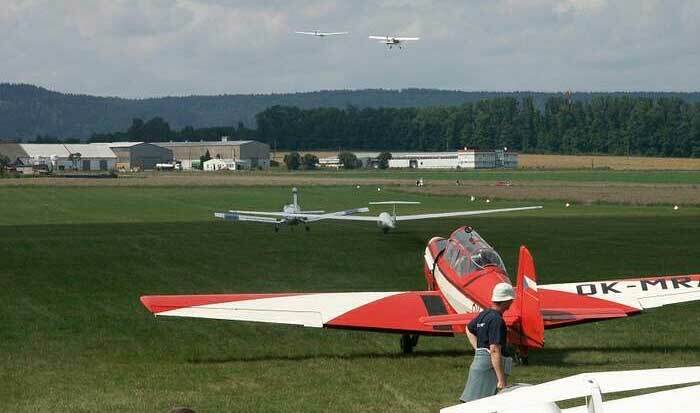 Not always pilots are happy – glider occasionally will not reach the finish line, but lands on the field or another airport. 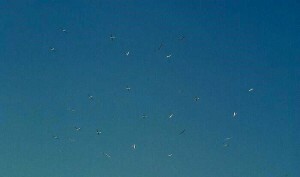 It then follows the departure of “transport crew” and transport of the glider back to the airport. Tasks are of two types; classic speed discipline at the declared course (racing task or Race To Goal) or speed Assigned Areas Task (AAT). Racing task is a discipline which is precisely defined route waypoint (imaginary vertical cylinder with a radius of 500 meters), which contestants have to touch in the order of “intersect”. The winner is whoever reaches the track top speed. In AAT discipline are strictly defined spaces – sectors (eg. rings or circular arcs of radius to tens of kilometers), in which contestants must touch in the sequence designed by organizer. It depends on pilot how deep he will fly inside each sector and which route he chooses to get highest average speed to complete the task within intended flight time, eg. 3 hours. 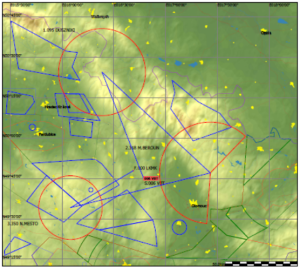 In this task, every pilot chooses track on his own discretion with regard to weather conditions and size of the sectors – in simple terms, everyone flies a different heading and route. The winner is the one who in the allotted time flies the longest distance. Individual performances are evaluated (by assigned points) according to the rules of competition: points, flight distance and speed achieved; These points are then still fine-tuned by means of various factors, primarily from the performance of the glider.